October is the middle of Spring in New Zealand, making it one of the best times to see the island covered in lush greenery and a great time to visit for seasonal events and warmer weather. Additionally, the New Zealand ski season generally ends in late October, meaning you will be able to enjoy skiing the snowfields on both the North and South Islands for at least most of the month. Although the days get continually warmer and sunnier throughout the month, October can be quite rainy and subject to spring storms, especially on the North Island. The weather across New Zealand is volatile in October no matter where you go, so be sure to keep an eye on the forecasts if you're planning to enjoy the outdoors on your trip. With average highs ranging between 61 to 69 degrees Fahrenheit and average lows in the upper 40s to mid-50s, the weather in October is usually pleasant in terms of temperature, but strong winds and sudden storms can put a damper on otherwise pleasant days for outdoor adventures. The capital city of Wellington experiences the best weather throughout the month, though it experiences an average of 15 days of rainfall in October each year and is known as the windiest city in the country, having experienced gusts of up to 133 miles per hour in October some years ago. Since the weather is unpredictable, you'll need to pack for winter, spring, and summer conditions including cold and rainy days as well as those that are a little too warm for long sleeves. Your packing list should include clothing that is easily layered like T-shirts and pullover or zip-up sweaters as well as a light jacket, a raincoat, an umbrella, waterproof shoes (especially hiking shoes), shorts, pants, and clothing comfortable for a long flight to and from the islands. There are usually a few school holidays in New Zealand in October, which means you'll find a few more family-friendly events and larger crowds at area attractions throughout the month. While you can always spend your time exploring Auckland art galleries, golfing at coastal resorts, hiking through the countryside, or tasting local wine, these annual events are sure to delight anyone in your family. Auckland Heritage Festival: This annual celebration honors the rich cultural heritage of Tāmaki Makaurau (Auckland) with a variety of events across the city from late September to early October. Bay of Islands Wine and Food Festival: On a Saturday in early October, the "It!" festival takes place on the Village Green in Paihia in the Bay of Islands and features acclaimed local bands. First Light Wine and Food Festival: This North Island festival brings together winemakers from around the country (and globe) for an event usually on Labour Sunday in October. 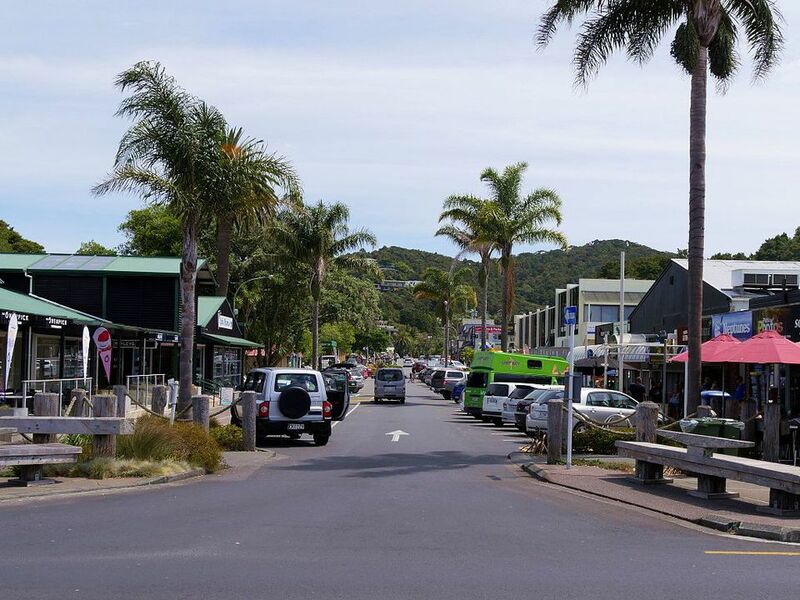 Kiwi Spring Festival: Located in Port Charles, Coromandel on the North Island, this annual event features live entertainment, stalls selling local crafts, an auction, and activities for kids including a bouncy castle all at the Tangiaro Kiwi Retreat usually in late October. Taranaki Spring Garden Festival: You can explore brilliant gardens in full bloom, learn from professionals at specialized workshops, take a guided tour, and enjoy long lunches surrounded by flora at the Taranaki Spring Garden Festival, which takes place in Taranaki on the North Island from November 1—10, 2019. World of Wearable Arts Show (WOW): The capital city of Wellington welcomes designers to present some of their best and most out-of-this-world costumes and outfits in themed shows taking place from September 26 to October 13, 2019. Since October is technically the shoulder season for tourism as more and more travelers arrive to enjoy the warmer weather of spring, you're sure to find great deals on flights and accommodations if you book far enough in advance. The earlier you arrive in October for skiing, the more likely you are to find good-quality slopes with fresh powder. By the end of the month, most resorts and slopes are closed for the season. Labour Day is a national holiday that takes place on October 28, 2019. Many local businesses, government offices, and even some attractions will be closed in celebration. You can also expect bigger crowds at destinations and events this whole weekend since local kids will be on holiday from school.